You are currently browsing the blogs.ischool weblog archives for June, 2017. Nick Merrill, Richmond Wong, Noura Howell, Luke Stark, Lucian Leahu, and Dawn Nafus hosted a workshop on Biosensing in Everyday Life at the ACM Designing Interactive Systems conference (DIS 2017). Biosensing, by which we mean sensors measuring human physiological and behavioral data, is becoming pervasive throughout daily life: beyond wristwatches that measure heartrate and skin conductance, to clothing, furniture, cars, personal robots, ingestibles, virtual reality headsets, as well as visual and wireless sensors that can collect bodily data at a distance. Biosensing brings with it new challenges (and opportunities) for the design of interactive systems, such as supporting social and emotional interpretations of biosensory data; implications for how people construct themselves and are constructed through data; and what privacy means in such contexts. We welcome work from a variety of methodologies, such as design research, anthropology, STS, ethnographic studies, user studies, art practice, systems building, and critical or speculative design. Submissions may take the form of essays, arguments, empirical work, pictorials, video, portfolios or artifacts. Many emerging and proposed sensing technologies raise questions about privacy and surveillance. For instance new wireless smarthome security cameras sound cool… until we’re using them to watch a little girl in her bedroom getting ready for school, which feels creepy, like in the tweet below. 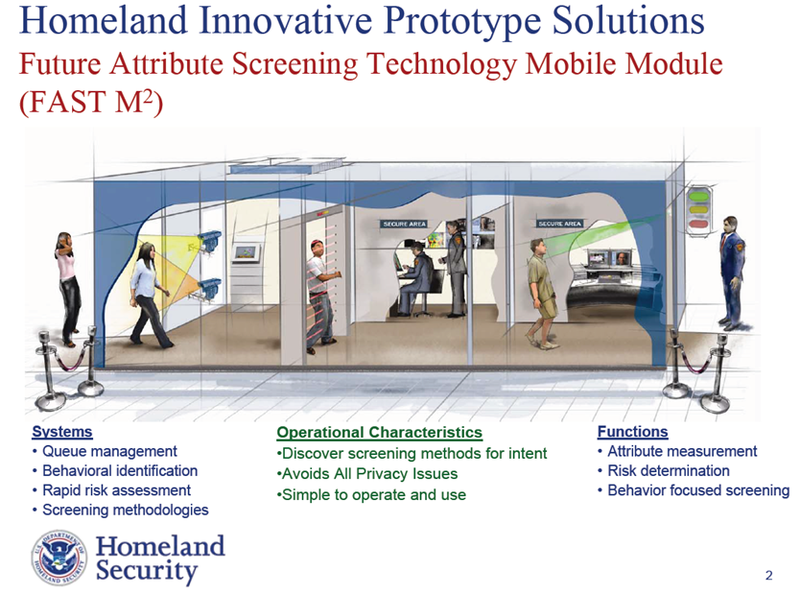 Or consider the US Department of Homeland Security’s imagined future security system. Starting around 2007, they were trying to predict criminal behavior, pre-crime, like in Minority Report. They planned to use thermal sensing, computer vision, eye tracking, gait sensing, and other physiological signals. And supposedly it would “avoid all privacy issues.” And it’s pretty clear that privacy was not adequately addressed in this project, as found in an investigation by EPIC. perhaps we can leverage science fiction, through design fiction, to help us think through the values at stake in new and emerging technologies. Designing for provocation and reflection might allow us to do a similar type of work through design that science fiction often does.